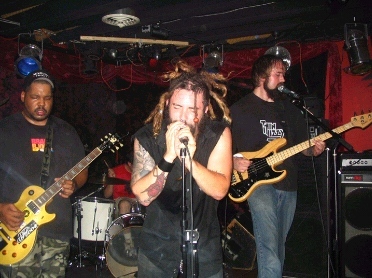 Formed in the peak of the summer of 2004, VOG had its first jam in a basement in Oakton, Virginia. Vog came to fruition based on an intent to play music with other members who were serious enough to commit to playing on a regular basis. Riffs written out of pipe dreams flowed through the aura of dirge that released the steam of sour days. Vog is the hawaiian term for a wretched gas/smoke present when volcanoes erupt that makes all that come in contact with it nauseous. O (Odal) - is the homestead, which was very precious to wandering peoples. It is used to represent all domestic issues and is a protective rune of the home. G (Gyfu) - means the gift of giving. It also represented relationships, especially sexual ones, and is therefore one of the fertility runes.